924/931 Registry: 924.org – The home of the Official Porsche 924 Registry and source for a lot of early 924 and 931 information. Clark’s Garage: http://clarks-garage.com/ – This site is provided for the sole benefit of Porsche 924, 944, 944 Turbo, and 968 owners and for those who are considering the purchase of one of these vehicles. There are indexed guides to understanding and fixing almost anything on a FEWP Porsche! Note: Our information is that there will be revisions and updates to the site coming soon! Automobile Atlanta: http://AutoAtlanta.com – Automobile Atlanta sells parts, but they have almost the entire Porsche line with expanded diagrams of assemblies and components, at your fingertips and online. Whether or not you buy from them, the diagrams are great to have! Werk924.com: This German website is dedicated to the maintenance and restoration of Porsche 924 and 944 cars, especially the early 924. Use Google Chrome to translate the text. There is a lot of information on the 924 and 924S, special models, etc. Take a look! PCA Model Guides: Go to these links for models guides on the 924 and 944 from PCA. Elliott Grafton: Elliott buys mostly parts cars, dismantles them and sells parts. It is an informal business venture, and Elliott will deliver in some cases. Prices are very reasonable, and if Elliott doesn’t have it, it probably isn’t available. Give him a call at 407-733-2078 or email at egrafton944@hotmail.com. Nort Northam Collection: http:www.nortnortham.com. Nort has been around the Porsche business in sales, service and racing for over 40 years. Located in Winter Park, he races a 944 in SP2 class in Porsche Club Racing, and is a past champion of his class. He does service on Porsche 944’s and other Porsches, so give Nort a call at 407-647-1911 or email at NortNortham@Earthlink.net. Automobile Atlanta: http://AutoAtlanta.com – Automobile Atlanta sells parts, but they have almost the entire Porsche line with expanded diagrams of assemblies and components, at your fingertips and online. You can see the diagrams and pick the parts you need! Only944: http://Only944.com – Kyle Yost is a 944 enthusiast with a list of high-quality custom parts at reasonable prices. Customer service is the forefront of Kyle’s business. 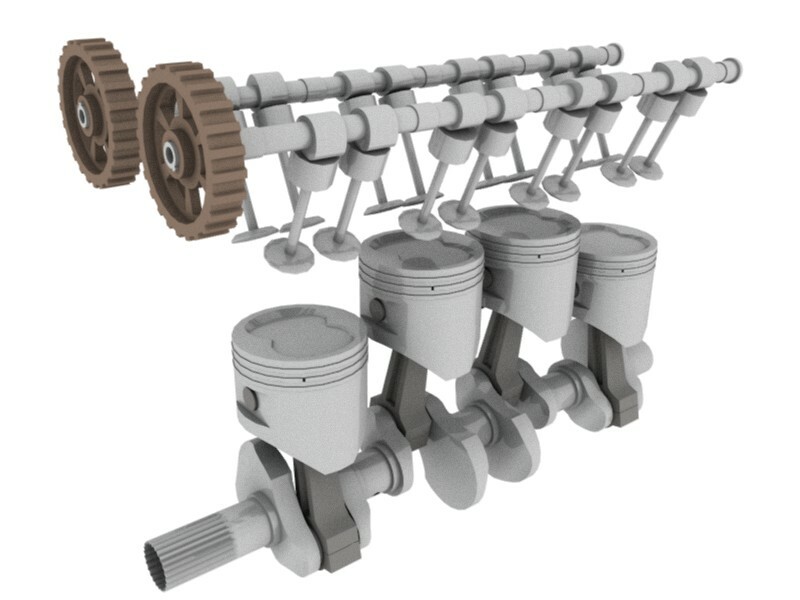 944 Online: http://944Online.com – From their website, they say that they are the world’s leading online source for new, used and hard-to-find 944 parts. Their business is about being experts at what they do and passing our knowledge and experience to customers and 944 owners throughout the world. Pelican Parts: http://pelicanparts.com – Whether you have a Porsche or other brand, Pelican can supply both original and aftermarket parts. Rennbay: http://rennbay.com/ – Travis has lots of parts for 944, 924S and even Boxsters. We use his services for his replacement flexible fuel lines to avoid engine fires. If you have special requirements, get with Travis and he can fix you up. CCP Fabrication: http://ccpfabrication.com/ – At CCP Fabrication, Inc, they engineer high quality parts from carbon fiber, Kevlar or fiberglass for the street or track. They deliver OEM strength while significantly reducing the weight and improving the looks at the same time. They specialize in fabricating custom parts for Porsche, Mazda and Volkswagen race cars. Contact Paul at 727.946.6024. Remegade Hybrids: Renegade Hybrids – Based in Las Vegas, Renegade Hybrids provides conversions to LSX V8 for Porsche 944, 911 and others. Werk924.com: This German website is dedicated to the maintenance and restoration of Porsche 924 and 944 cars, especially the early 924. Use Google Chrome to translate the text. Find the upholstery cloth that you need to restore your interior to factory spec! Andrea Schlosser is available to help via email. There is also a lot of information on the 924 and 924S, special models, etc. Take a look! Ideola’s Garage: http://garage.ideola.com/ Dan Beckett is YOUR SOURCE for early 924/931 information and parts. If it is no longer available (NLA), Dan knows the latest on it. Unfortunately, Dan is pursuing other opportunities and is probably no longer part of the 924 community. Quick Silver Detailing, Inc. Call Joshua Salgado along the I-4 Corridor for mobile detailing. He did “Sparky,” our 924S Rescue Puppy, and did a great job. Reasonable prices, licensed and insured, and on time arrival! What else do you need? Call Josh at 4.7-848-4383.